Dan has over 25 years of experience in management and technology consulting in large and small companies across many industries. His career began at Accenture in New York (Andersen Consulting) where he worked with clients such as AT&T, Verizon, and Citibank. With roots as a software developer, he later moved into management roles with increasing responsibility, ultimately running the emerging technology sector at an internal think tank for C-level executives in the financial industry. Dan was a co-creator of Accenture’s Internet Architecture training program, and helped roll out the program in the US, Europe and Asia. After moving to Maine Dan founded a startup in the marine technology industry. He was responsible for growing it into a sustainable business that sold technology goods and services to military, recreational and commercial vessels across the globe, and later sold the business. Dan spotted trends around the convergence of rapidly scalable cloud computing, and acquisition and analysis of large amounts of data. 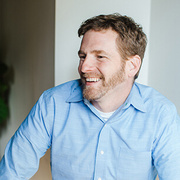 Together with Andrew Gauvin he founded Freeport Metrics in 2009 to capitalize on these trends by providing technology consulting services to startups and established enterprises. 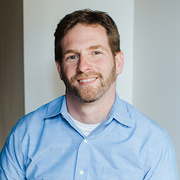 With Freeport Metrics, Dan has been an advisor for more than 75 startups, and has been directly involved with managing and building technology for many startup clients. Using a combination of diligent and methodical project management tools, and an entrepreneurial spirit and attitude, Dan helps clients navigate the often treacherous problems that face a startup or a new business venture within an enterprise. He believes that we should demand results from the software in which we invest, and that proper management of technology and process is critical to the success of any client. Straddling the line between deep technical knowledge and business skills, Dan thrives on helping clients find practical opportunities to make use of technology to further their strategic and tactical goals. His experience includes taking startups from concept through launch, directing the implementation of CRM systems for established companies, and managing complex business intelligence projects. Daniel graduated from the University of Pennsylvania in Philadelphia with a Bachelor of Science and Engineering degree in Computer Science and Engineering. When he’s not manning the helm of FM, you can find him boating on Casco Bay with his family.